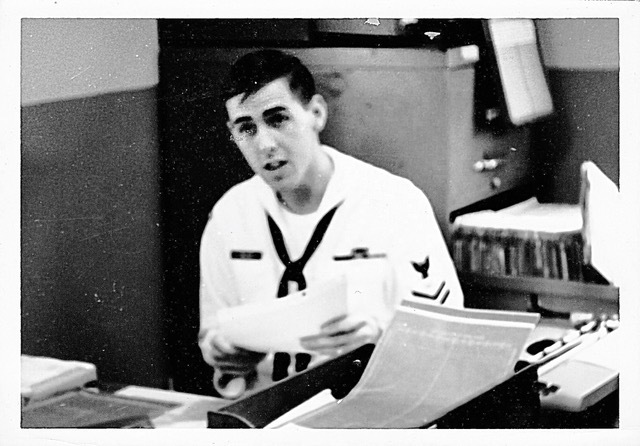 After six years and ten months on active duty, I was discharged from the Navy on February 3, 1968. I was excited and apprehensive about this drastic, but welcome, change. Two years earlier, I had reported to the base Administrative Office, Helicopter Training Squadron Eight (HT-8), at Ellyson Field, near Pensacola, Florida. My wife and daughter were with me, and we knew I was getting out in two years. HT-8 produced Navy and Marine helicopter pilots, a good number of whom went off to war in Vietnam. Most of the instructors already had flying experience in and around Vietnam. In January, 1967, I was promoted, and there was new pressure to reenlist. “Gee, Joe, you only need to put in thirteen more years and you can retire at age 38.” I made it very clear that I was not interested. In March, the local newspaper slammed Bobby Kennedy for his changed stance on the Vietnam War. Up to this point, I never made any real overt public statement. It was time to speak out, though not as an active duty sailor. I wasn’t ready for that. I wrote a letter to the paper that was published on March 19, 1967. I took the editors to task, point by point. What “freedoms” were we defending in Vietnam? What was the real history of our involvement there? I defended Kennedy’s willingness, as an early supporter of the war, to finally admit that the U.S. had been wrong for twenty years! It was the paper’s policy to print the address of any letter writer. I received some hate mail from local “patriots” in this military town. Antiwar remarks to colleagues at an off-duty part-time job at a local department store brought me to the attention of the local FBI office and the Office of Naval Intelligence (ONI). A work colleague, a Marine Corporal stationed in Pensacola, told me that investigators visited the store when I was off work and questioned everyone about me and my political statements. Soon after this, my boss called me into his office and said he had to let me go … without any explanation. I joined the local chapter of the ACLU, just in case. Military performance evaluations took place every six months. They were written by one’s immediate supervisor, in my case a Yeoman First Class (E-6), the assistant to the Executive Officer. According to my civilian supervisor, this guy often visited my office while I was at lunch to take note of the titles of books on my desk. Apparently, as a sailor, I was not meant to care about “current world situations,” even in my “spare time.” My discharge date was now less than a year away. I took the ACT in preparation for entrance into college. The reenlistment counselors no longer bothered to contact me. This exodus from “soldier” (sailor) to “citizen” status was certainly gradual, but now it was real and final. I happily signed my discharge papers on February 3, 1968, reentering the civilian world, a world that was much different—as I was—from when I enlisted in 1961. The spy ship USS Pueblo had been seized by North Korea, the Tet Offensive shocked everyone. This was the international context in which my family left the Navy and got on the train from Florida to Chicago. Now I had to find a real job in the real world. Since my dad still worked at the Western Electric Hawthorne Plant in Cicero, I would start there. I went to the plant, filled in an application, and was given a physical. In the end, they denied me a job, claiming there was something wrong with my back. How did the Navy miss this, I wondered? Was this even real? Since the GI Bill alone would not support the family while I was in school, I had to find something. One day, on a whim, I walked into the Sun-Times/Daily News building (located where Trump Tower now stands). In less than an hour I got a full-time job, an overnight shift so I could take classes each day. I would work in the communications center of the Daily News editorial department. I enrolled for the spring quarter at the University of Illinois Chicago campus (Circle Campus). I obtained a total of 72 credit hours from my military service (60 hours for Chinese language training). I would only need three years to graduate, but I still had to take all the general education courses, like science and rhetoric. That first quarter was a little rough; I had not been in “school” for eight years. The level and intensity of political and antiwar activity at Circle was pretty high. When McCarthy made a significant showing against Johnson on March 12, the number of his supporters grew. Once Bobby Kennedy jumped into the race on March 16, even more students got involved. 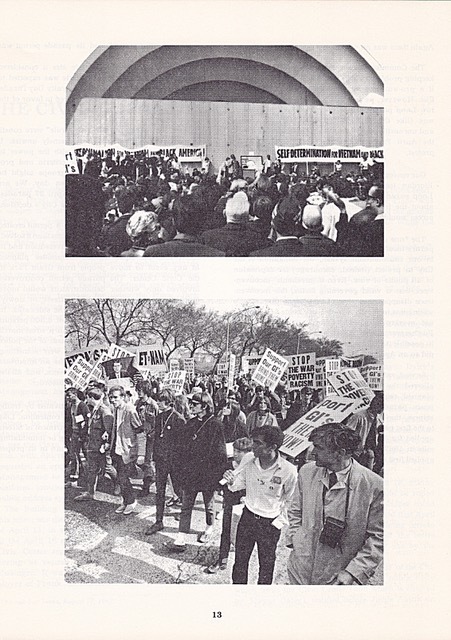 There was also a strong chapter of the Young Socialist Alliance (YSA) on campus, arguing for immediate and unconditional withdrawal from Vietnam. All this activity swirled around those students who just wanted to go to class. The war went on; the bloodletting increased. Mainly an observer, though surely antiwar, I hesitated to join any organization after the military. I did not highlight my veteran status. In fact, few outside my family and close friends even knew that I had been in the military. I was just another student, working a full-time job, attending classes, and showing up for any antiwar activity that popped up on campus. In fact, I can’t recall anyone on campus in early 1968 who openly identified as a veteran, let alone a veteran of the Vietnam war. Things changed dramatically that spring. On Sunday afternoon, March 31, my wife and I joined friends at a performance of Barbara Garson’s antiwar/anti-LBJ play “MacBird.” That evening, as I was getting ready for work, my family and I watched as LBJ announced he would not be in the running for president. Wow! What next, I thought? Four days later, the next shock to the system. On the evening of April 4th, I awoke to the news that Martin Luther King, Jr. had been murdered. Holy crap! What’s going on? As I rode the bus to work and got closer to the city, we passed burning structures here and there, symbols of local anger and frustration over King’s assassination. By the time I arrived at work, the newsroom was in complete chaos as reporters and editors tried to keep up with the volatile situation. Mayor Daley had put out his “shoot to kill” order to the Chicago cops, loosening any possible restraint on their actions. Next morning, I left work and took the subway over to Circle for class. The campus and the immediate neighborhood was in shock. Classes were cancelled. Black students and supporters blocked Halsted Street for hours. I went home to watch the news reports about this national urban uprising; even Washington, DC was in flames. Why were so many surprised? Three weeks later, on April 27th, my wife and I joined an antiwar rally and march sponsored by the Chicago Peace Council, my first public anti-war activity since my discharge. Welcome back to “the world,” Joe! 1968 would prove to be an “interesting” year. Joe Miller obtained his PhD in Political Science from UIUC in 1979. He is a Navy Vietnam veteran who served in the Gulf of Tonkin. After his discharge, he worked for many years against that war and is a National Board Member of the Vietnam Veterans Against the War (VVAW). This entry was posted in 1968, Veterans, Vietnam War. Bookmark the permalink.